Dragon art connoisseur and all-around fantastic talent, Michael Whelan is, without doubt, one of the most highly regarded fantasy artists in the world today. From sword-and-sorcery to fine art, Whelan’s work is imbued with a sense of thoughtfulness, empathy and emotion that is missing from the art of many contemporary fantasy artists. 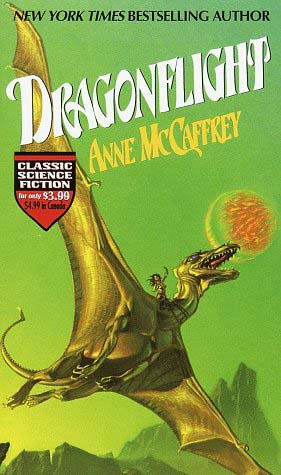 Whelan's work has graced book covers from novelists like Stephen King, Ray Bradbury, Michael Moorcock, Poul Anderson and, most famously, Anne McCaffrey, bringing both author and artist unassailable respect among fantasy devotees. He has also won countless awards and accolades for his work, which he describes as ‘communication’, in a sense being an intermediary between the author’s words, vision and intention and the expectation and understanding of the reader or viewer. This viewpoint means that the symbolism of his work is as important as the actions and events that make up the subject matter. His dragon art is, again, wide and varied, depending on the needs and requirements of the novels for which they have been created. Regardless, they are often ‘Whelan-ized’, with a trademark degree of detail and emotional depth that is almost impossible to pin down, but unmistakable. These detailed, cerebral and painstaking artworks and his mould-breaking dragons mean that Michael Whelan is, without debate, among the masters of fantasy art. 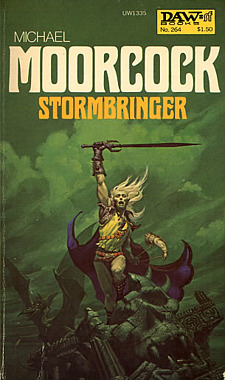 Frazetta’s figures are very much about muscle and tendon, blood and sweat, triumph and glory; his counterpoint could be said to be the artist Michael Whelan. Whelan’s sword and sorcery adheres very closely to the conventional symbols of the genre, with its beasts to be slain and battles to be won, long-haired warriors in big boots and the like, but his figures have an emotional depth that is admired by everyone from high-fantasy enthusiasts to spiritual and fairy tale fantasy artists worldwide. The moral ambiguity, mental stress and inner turmoil of his figures is distinctive and apparent. Whelan is not limited to fantasy book covers: he has created plenty of science fiction, horror and album covers too, including covers for work by Isaac Asimov, Ray Bradbury and Stephen King, and albums by the Jacksons and Sepultura. 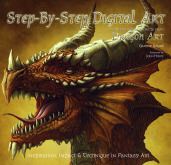 His work is phenomenal, and his dragon art – some of which we were lucky enough to feature in our illustrated book Dragon Art – cannot fail to appeal to any lover of the mystical. 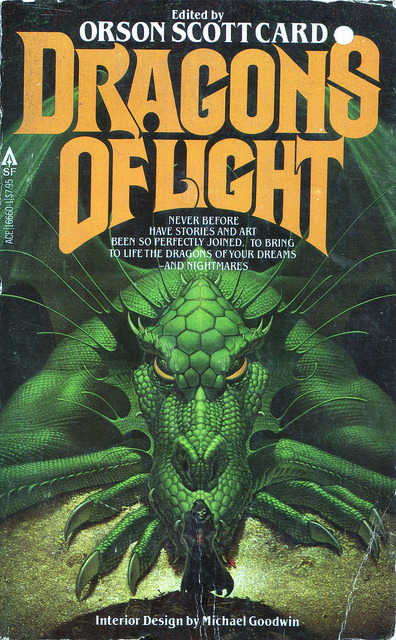 The text above is taken from Dragon Art by Graeme Aymer (ISBN 978-1-84786-300-3).